I love dressing up without going over the top. 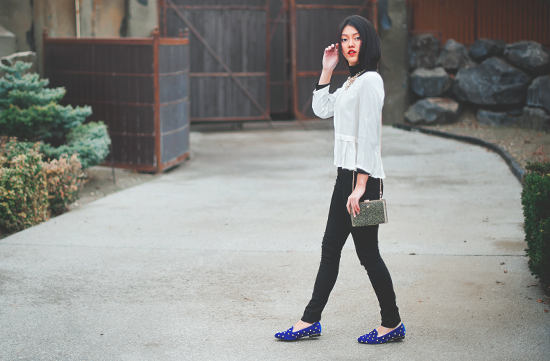 Here's a simple look that is dressy, yet casual all at the same time. Pairing basic pieces with just the right amount of accessories, and a pop of color creates an effortlessly modern and classic look. 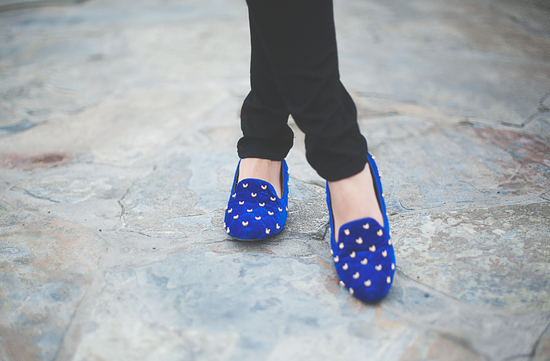 And as you can see from my INSTAGRAM feed, I'm still swooning over these adorable royal blue velvet Frenchie flats. They are too cute to go unnoticed.